The following pages will provide information for builders wishing to register a new Leading Edge Inflatable kite model for use in certain events of the IKA TwinTip:Racing and IKA Formula Kite class events. Such events include the (Youth) Olympic Games and Regional Games (for example the African Beach Games), and their qualification events. IKA Approved kites are mass produced kiteboarding equipment manufactured in a series production run of at least 75 pieces per model/size for eligibility in Formula Kite class events and 50 pieces per model/size for eligibility in TT:R class events. Each piece of equipment shall be produced using the same manufacturing specification and materials and shall be within tightest production tolerances. The brand guarantees a minimum capacity to build 25 pieces (50 pieces for Formula Kite eligibility) per equipment/model/size per month on an ongoing basis. The brand guarantees that world wide distribution is available and that equipment will be delivered to customers on a first come-first served basis until the end of the next (Youth) Olympic Games if not otherwise agreed with IKA or World Sailing. For the TT:R class, equipment will be eligible to compete 1 months after registration is completed (first production run, successful factory inspection by class measurer, registration fees paid, and proven availability world wide). For the Formula Kite class, equipment will be eligible to compete the day after the next Olympic Games. Please refer to the relevant class rules. All equipment is registered as "model". The IKA fees apply regardless of the number of equipment produced and are used for administering the scheme. The administration fee (500 EUR plus VAT where applicable) is payable per model and size. The manufacturer agrees to cover reasonable expenses (travel, accommodation, subsistance) for an initial factory inspection by a class measurer before equipment becomes eligible to compete as well as an annual factory inspection by a class measurer. A joint factory inspection may be arranged for a number of equipment registrations. IKA will enter the equipment on the relevant list of IKA Approved Series Production Equipment only when the registration procedure (including factory inspection) has been completed to the IKAs and WORLD SAILINGs satisfaction, and all invoices and costs settled. For equipment eligible for TT:R class events, the final registration deadline for new equipment is 3 months before the first qualification event to the next Youth Olympic Games. For equipment eligible for Formula Kite class events, the final registration deadline is May 1st before the next Olympic Games. The "IKA Registered Series Production Equipment" logo shall be attached or printed by the manufacturer to all equipment. All equipment is required to carry a unique manufacturers serial number on every equipment part, visible without dismantling the equipment. All measurements submitted shall be taken as the average of at least 10 pieces of equipment. All measurements are taken with the kite lying flat on an even surface, completely deflated, and tug strait along the direction of intended measurement. 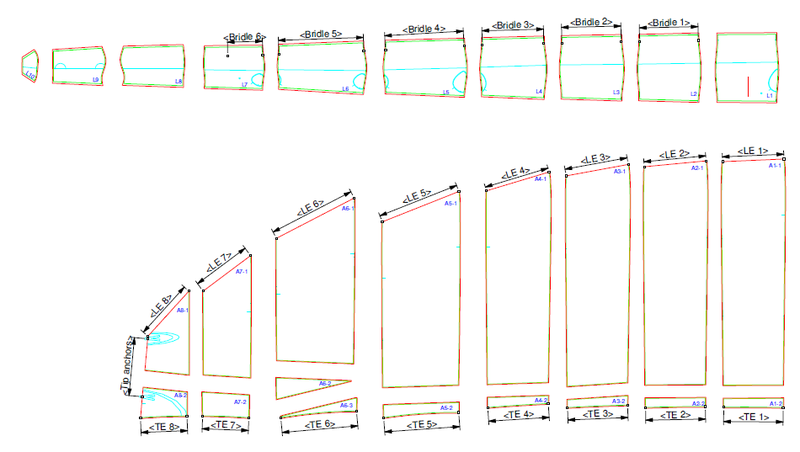 Leading and Trailing Edge Segment measurements are taken from the middle of the seam between segments to the middle of the next segment seam on the most forward point of the leading edge respectively most aft point of the trailing edge, measured shortest way, not along the curve of the segment. Bridle Measurements are the distances between the bridle attachment points at the front tube, measured shortest way, not along the front tube. Span is the distance between the two rearmost, outermost tip anchor attachment points (“light bar pressure”) on both tips of the kite. Span measurement is conducted under tension of 50 Nm in the measurement direction. Chord is the length of the first seam beyond the center of the kite, measured from the Trailing Edge (Leach) to the furthest point that the cloth extends at the front tube in direction of measurement. Front Tube Diameter is the diameter of the Front Tube measured at a pressure of 7psi / 0.5 bar. The following tolerances are considered to be reasonable by the class measurers. Tolerances are intended to allow for necessary manufacturing tolerances and shall not be used to alter the design. The final decision if a measurement difference is caused through normal production variation, wear and tear, or other reasons, and the value of the accepted variation is solely within the equipment inspectors discretion, and he may apply larger or smaller tolerances when justified following the principle that "any equipment is built to the highest possible degree of uniformity in every performance related respect". Enter information about the model to be registered here. Complete a registration for every size / variation. PRINT THIS PAGE AND HAVE IT SIGNED BY A SENIOR EXECUTIVE OF THE COMPANY / BRAND. AN ELECTRONIC VERSION OF THE EQUIPMENT BROCHURE INCLUDING A PICTURE OF THE EQUIPMENT AS SOLD IN RETAIL. 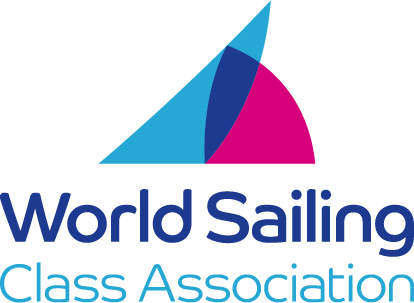 THESE DOCUMENTS ARE PART OF THE APPLICATION AND WILL BE CONSIDERED BY IKA/WORLD SAILING AND THE CLASS MEASURERS DURING THE FACTORY INSPECTION.